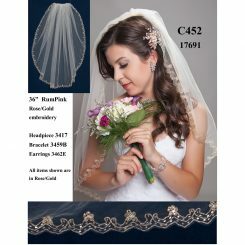 JL Johnson C476 is an absolutely stunning 30″ veil. 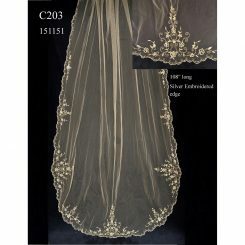 This veil is adorned with a beautiful pearl, rocaille, and rhinestone edge. 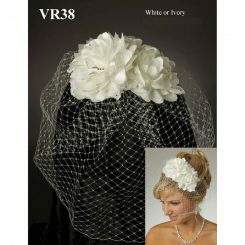 Available in white, ivory, diamond white, rumpink, blush, oyster, and butterscotch. 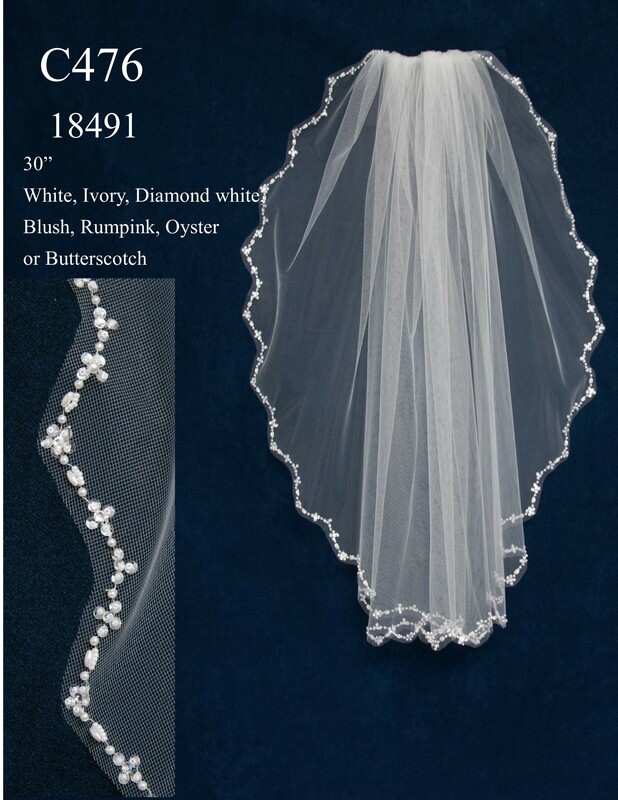 JL Johnson C476 is an absolutely stunning 30″ veil. This veil is adorned with a beautiful pearl, rocaille, and rhinestone edge. 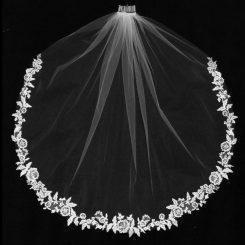 The veil also features a pointed scallop edge, which makes the veil unique. 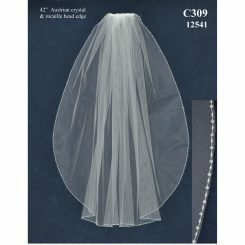 This 30″ long veil is “waist” length; it is a bit shorter than a fingertip veil and falls right at your waist. 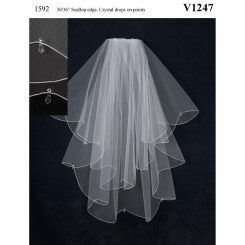 Veils are a tremendous way to frame you and your dress. 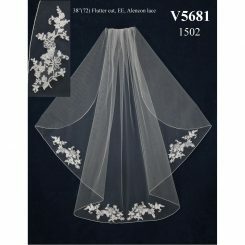 This veil comes in a plethora of different colors: white, ivory, diamond white, rumpink, blush, butterscotch, and oyster. 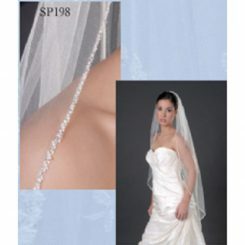 Call us at 888-393-2253 for a free veil consultation.